Living in Southern California gives us a chance to experience so much international culture close to home! The Festival of the Chariots (Ratha Yatra) is a colorful and unique festival dating back some 5,000 years. It began in India. Venice is place for this incredibly popular festival in Southern California. It will feature three chariots, one for each of the three deities; Lord Jagannatha, Lord Balarama and Lady Subhadra. 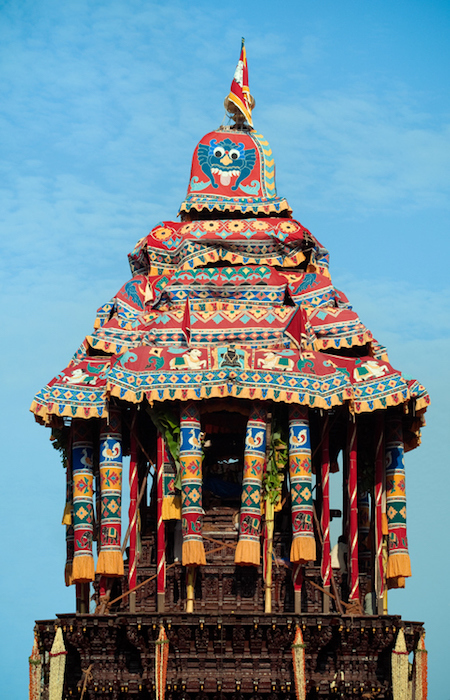 The canopied chariots are decorated with flowers and balloons and are pulled with long, thick ropes by hundreds of people who ecstatically dance while chanting sacred mantras. It is a time-honored and joyous celebration of life and glorification of God.